Leon Camier (27) is getting ready to return to the WSB paddock at the second round of the championship in Aragon on April 13th, as a replacement for BMW Motorrad Team Italia SBK EVO regular rider Sylvain Barrier. Barrier suffered facial injuries in his recent car accident and although he hopes to return to the action as soon as possible, Aragon will come along too early in his recovery plan. The two-time FIM Superstock Champion for BMW hopes to make it back in time for the Assen round, on April 27th, although other sources suggest it will more likely be Imola or Donington in May. 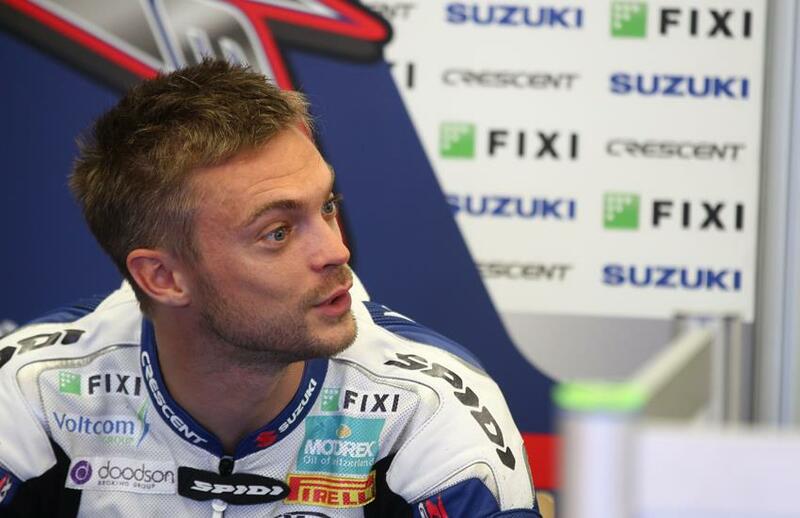 Camier is, in any case, the rider who will replace the Frenchman until he is back to race fitness. Camier was down to ride for the Ioda MotoGP team in 2014 but that deal fell through late in the pre-season, making him a strong stand-in choice for the main BMW Evo team in the SBK series, which is supported by the Italian importer. He is expected to sign a contract with BMW Italia on 28 March. The S1000RR-equipped team, one of the favourites in the new EVO class, ran Aussie wild card Glenn Allerton on their bike in Australia after Barrier suffered a painful pelvic fracture in testing. Allerton finished 11th and 15th overall in the combined SBK/EVO standings, after harrying the other top EVO riders at his local circuit, proving the might of the BMW challenge first time out in the new sub-category of WSB racing. Former record-breaking 2008 BSB Champion Camier may have a chance to test the bike in Italy before heading to Spain, but details are yet to be concluded. Camier is a nine-time WSB podium finisher, for Aprilia and Suzuki, and has started 97 WSB races. His best race finish is second, which he has taken on two occasions.